It starts the moment that you book your cruise. That low headline cruise fare suddenly doubles when two people are added… followed by hundreds more in port taxes and fees… and even more money with the addition of gratuities. Once on the ship plenty of things are free, but you are expected to pay for extras ranging from soda to alcohol to excursions. You are also bombarded with sales messages while on board. Art auctions, spa specials, and slot tournaments are just a few of the things that cruise lines pitch to passengers. With all that, you can sometimes feel like you are spending a fortune on your cruise. In addition, it may seem like the cruise line must be raking in massive profits. Here’s how much one major company is really making. We just dug through the financial reports of one of the world’s biggest cruise lines — Royal Caribbean — to give you a better idea of exactly how much money people spend on a cruise ship and how much profit the cruise line makes off its passengers. When it comes to cruise lines, the numbers are astonishing. Royal Caribbean and its subsidiary cruise lines carried nearly 6.1 million passengers on its ships located around the globe. In total, those passengers spent nearly $9.5 billion during the course of 2018. Of that $1,560, 71.5% ($1,116 per passenger) was spent on cruise fares and the remaining 28.5% ($444 per passenger) was spent onboard for everything from booze to t-shirts in the gift shop. Now, it goes without saying that all that money being spent on cruising doesn’t make it to the bottom line as profit. After all, cruise lines run major expenses, starting with the cost of the ship itself. Then there is the cost of all its employees, food, and even fuel to get the ship moving. That’s to say nothing of expenses like marketing and commissions to travel agents. Other operating expenses, which consist primarily of operating costs such as repairs and maintenance, port costs that do not vary with passenger head counts, vessel related insurance, entertainment and gains and/or losses related to the sale of our ships, if any. In addition, the company has depreciation and amortization expenses, marketing and administrative expenses, and “other” costs. As you can see, a healthy small portion of the money taken in by Royal Caribbean goes down to the bottom line. All told, last year saw a profit of $1.815 billion — or $4.96 million per day — before adjustments. If you’re a shareholder, that’s great. The company has raised its dividend from $1.10 per share to $2.60 per share (136%) during the last five years. Interested in knowing how much the biggest cruise ships and cruise lines in the world make each day? Read our article the breaks down the daily revenue and profit for cruise lines… and estimates how much the biggest ships make in a single day. 8% is a pretty healthy profit margin – higher than I would have expected. 8% is good but it’s also not true. They are making much more. The ships are tax havens or are put in onshore schemes that pretty much make them tax free (less than 1% in annual tax). The deprecation is also used to offset any taxes that may have been applicable so that’s a lot to keep profits above 8%. Dan, the data comes from financial reports filed with the SEC. Very cool. Thanks for taking the time to research this. I took an 11 Baltic Cruise with Princess. The cruise was free of charge as an offer for giving up a 7 day cruise of south Japan. The cruise fare was advertised at $4600.00 CDN pp. When we received our statement for the Baltic Cruise, it included the base fare and extras we booked re: shore excursions, gratuities etc. The base fare was $2600.00 pp! That is $4,000.00 ($2000.00pp) less than the advertised price that we would have paid if not for the ‘Move-over-offer’ That equates to a profit of over 40% on the base price (not including the profits off alcohol, excursions etc.). The Royal Caribbean stat. of 8% sounds ridiculous. On The Royal Caribbean 3-day cruise to Bahamas that we just came from, it seemed like we spent quite a bit. It seemed like they must be making a lot. I think the actual profit must be higher than 8%. Royal Carribean have hired a good accountant in order to minimise their official profits and therefore taxes paid. Investors regularly make 10% with a mixed portfolio. You would think the actual figure must be higher to justify the effort and risk involved. This was from a recent annual report. It could be higher or lower in more recent reports. We plan to take another look in the future. 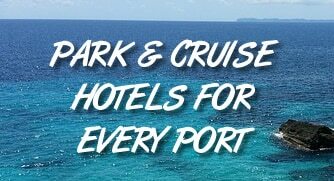 I always tell our Cruising Customers that a Cruise is a WHOLESALE vacation. Cruise lines make NO profit (do the math) on the BASE cruise fare. Their profit is all the other “stuff” – that 28% extra.